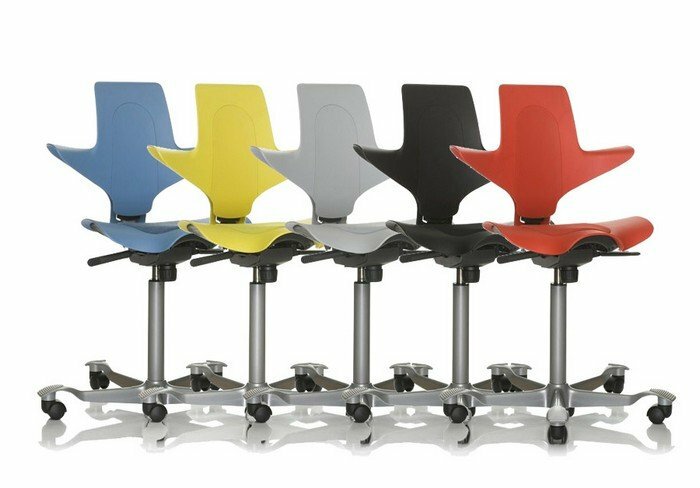 Born out of the legendary “saddle chair”, HÅG Capisco Puls represents a new generation, attuned to the contemporary, dynamic workplace. 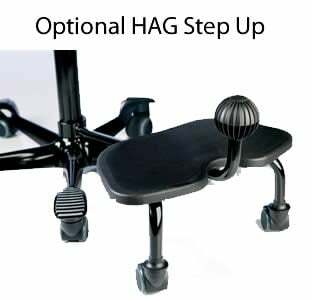 Like its predecessor, HÅG Capisco, it is based on our understanding of the human body and its constant need to move. 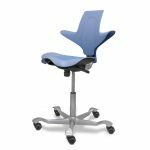 HÅG Capisco Puls continues the legacy, while expanding the horizon of the Capisco family. 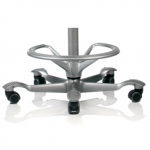 A contemporary and flexible chair, it represents an evolution in form, function and usability. Capisco Puls’ new sleek and light shape, reflects the rhythm of a brave new generation. HÅG Capisco Puls is designed for active sitting. 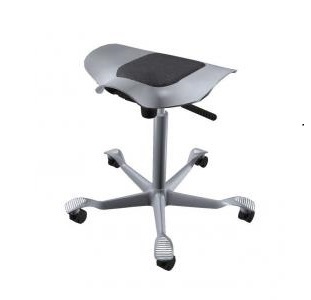 It facilitates a variety of energising sitting positions, creating a dynamic flow in people’s work life. A life with ”pulse” is a healthy, active and productive life. HÅG Capisco Puls: makes your heart beat. 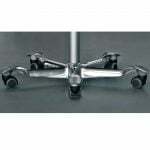 HÅG Capisco Puls is the newest addition to the HÅG range. 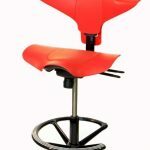 This updated version features a futuristic and contoured seat and backrest that are made of a plastic polymer. 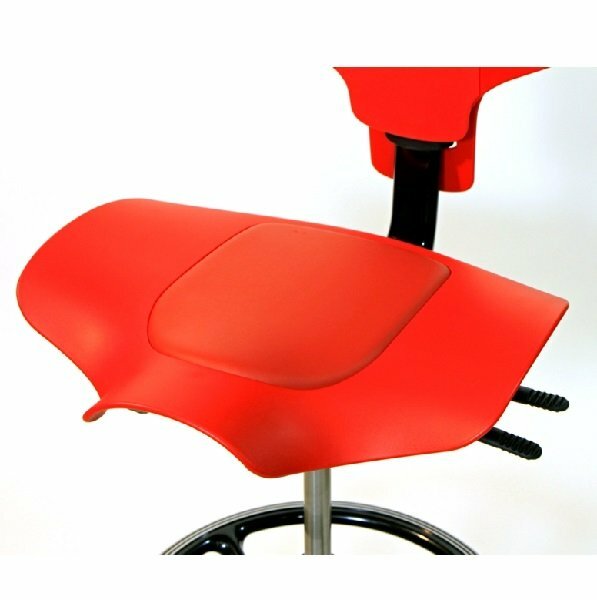 This makes it perfect for areas where fabric isn’t welcome, as it’s so easy to clean. The integrated seat pad can be upholstered in vinyl or fabric. 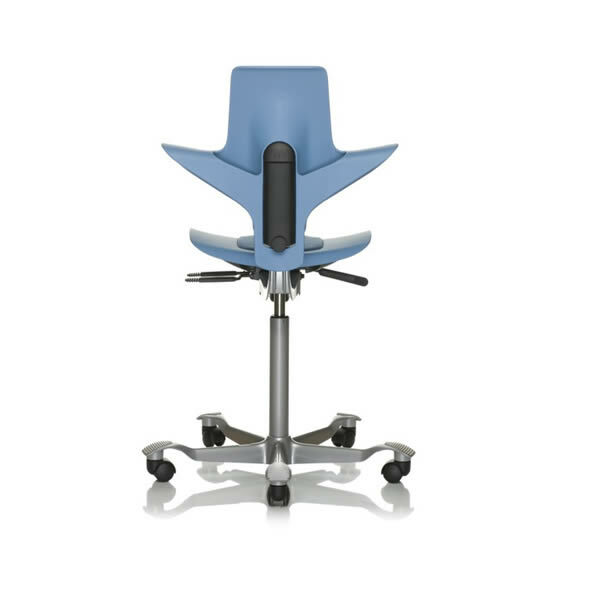 HÅG Capisco Puls is inspired by the horseman’s saddle and sitting posture. 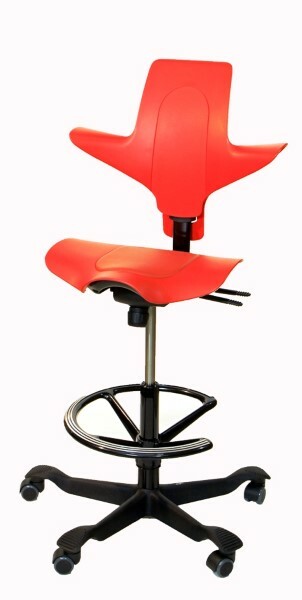 No one sits as actively as a rider in the saddle. 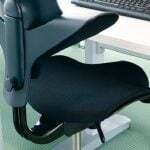 When you work seated on a HÅG Capisco, you’ll be inspired to greater freedom of movement, variation and new natural sitting positions. 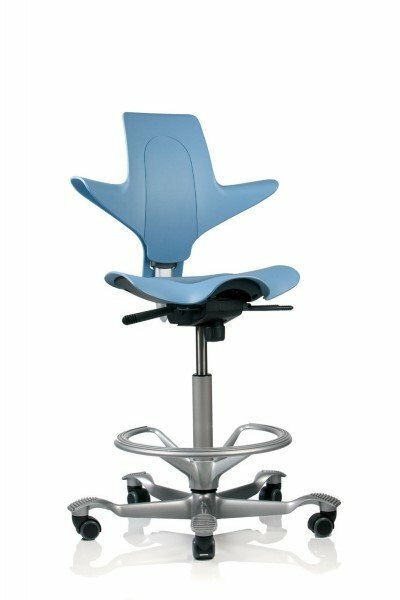 HÅG Capisco Puls allows you to sit as high or low as you want. 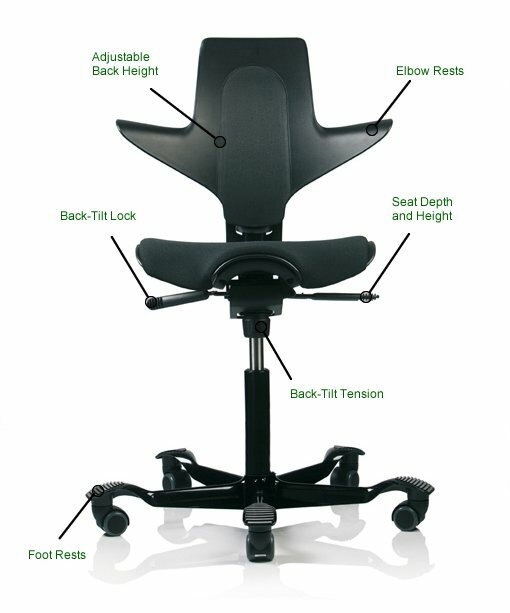 No other work chair is so well adapted to work surfaces of different heights. 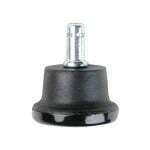 Sit down and adjust it from a normal table height to semi-standing position. Unique form, expressing lightness, movement and energy. Easy to create inspiring workspaces. 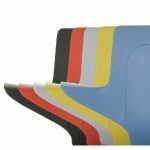 5 plastic colours and all textiles in the HÅG Total Colour Standard. Optional cushion on 8020 and 8002 for extra sitting comfort, available in Nexus.